This website is dedicated to the poetry and fiction of Andrew Lansdown. Andrew is a widely published and award winning Australian writer, whose poems and stories have been published in numerous magazines and newspapers and are represented in over 100 anthologies. His published books include 13 collections of poetry, 2 collections of children’s poetry, 2 collections of short stories and 3 fantasy novels. This website offers extensive information about, and samples of, Andrew’s literary writings. It also contains 100+ outstanding poems by 30+ poets whom Andrew admires. It also provides an opportunity to buy Andrew’s books using PayPal. Andrew Lansdown is the author of twenty-one books and eight chapbooks of poetry and fiction. His poems, stories and essays have been published in over seventy magazines and newspapers and are represented in over one hundred anthologies. They have also been read on ABC and BBC radio, and translated into several languages. Andrew’s fantasy novel, With My Knife (Omnibus Books, 1992) was shortlisted in 1994 for both the National Children’s Book Award and the Western Australian Young Readers’ Book Award. The first edition of With My Knife was reprinted three times in Australia (1992, 1994, 1996) and was published by Scholastic in the United States under the title Beyond The Open Door (1993). A sequel, titled Dragonfox, was published by Scholastic in Sydney in 1997. It was also nominated for the Western Australian Young Readers’ Book Awards. New editions of With My Knife and Dragonfox were published in 2006, along with a third novel in the series, The Red Dragon. The new edition of With My Knife was reprinted in 2006, 2007 and 2008, while Dragonfox and The Red Dragon were also reprinted in 2007 and 2009. The Children’s Book Council of Australia named The Red Dragon as “Notable Australian Children’s Book” in 2007. The Red Dragon was also nominated for the Western Australian Young Readers’ Book Awards (WAYBRA) and won the Hoffman Award, which is given to the highest ranked Australian/Western Australian book on the WAYRBA young readers’ list. Andrew’s sixth poetry collection, Between Glances (William Heinemann Australia, 1993), won the Adelaide Arts Festival’s prestigious John Bray National Poetry Award in 1994. It was also joint winner of the WA Fellowship of Australian Writer’s inaugural Joseph Furphy Award for poetry. Andrew also won the inaugural Western Australian Premier’s Book Award (originally called the Western Australian Week Literary Award) for his poem “For Philip” in 1982, which earlier won the Artlook Grand National Poetry Stakes and appeared in Artlook Magazine. “For Philip” is published in Counterpoise. Andrew again won the WA Premier’s Book Award in 1985 for his poetry collection, Windfalls. His collection, Fontanelle, was shortlisted for the WA Premier’s Award in 2005. In acknowledgement of Andrew’s poetic achievements the City of South Perth included one of his poems in its Poetry Park, established in 2008 in the Neil McDougal Park, Como. The poem, “Happiness” (from Between Glances), is printed on a two-metre free-standing Perspex panel, the first of twelve panels that line the park’s Walk of Honour for Western Australian poets. 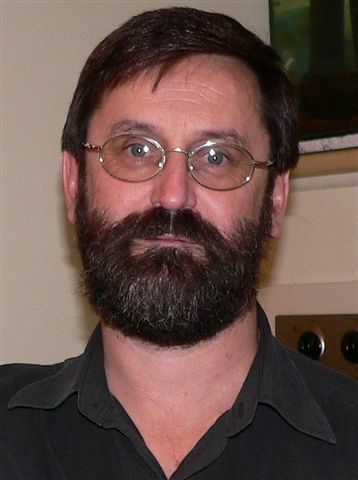 Andrew holds a Bachelor of Arts in English (Western Australian Institute of Technology – now Curtin University), a Bachelor of Arts with Honours in Comparative Literature (Murdoch University), and a Graduate Diploma in Education (Western Australian College of Advanced Education – now Edith Cowan University). Among other things, Andrew has worked as a tutor at various tertiary institutions and TAFE colleges, an education officer in various Western Australian prisons, a pastor of two churches, a journalist on a country newspaper and the editor of a bimonthly magazine. He has been awarded six writer’s grants/fellowships by the Literature Board of the Australia Council: General Writing Grant, 1984; Writer’s Assistance Grant, 1986; Senior Writer’s Fellowship, 1987; a Senior Writer’s Fellowship, 1988; an Established Writer’s Grant, 2002; and an Established Writer’s Grant, 2003. Andrew has been invited to read at various poetry festivals, including the Tasmanian Poetry Festival (Launceston, Tas, 1994), the Blue Mountains Poetry Festival (Varuna, NSW, 1996), the Australian Poetry Festival (Sydney, NSW, 1998) and the Australian Poetry Centre’s Salt on the Tongue Poetry Festival (Goolwa, SA, 2010). He has also participated in several writers’ tours, and conducted readings and creative writing workshops at numerous primary and high schools throughout Western Australia. Andrew lives in Perth, Western Australia. He is married to Susan and they have five adult children. Excerpt from “New poets mine rich seam of language” by Geoffrey Lehmann in The Australian, 21 February 2009. Over the years, various poets have paid tribute to Andrew and his work by dedicating poems to him. Among them are the eminent Australian poets Les Murray, Shane McCauley and Peter Kocan. 3. AusLit, the Australian Literature Resource, which documents the literary works of Australain writers since 1780, has itemised 788 of Andrew’s published works. View the introductory page to AusLit’s “Lansdown, Andrew” bibliography. 4. The Australian Broadcasting Corporation has produced a 40 minute program on the poems of Fontanelle. It is titled “I Could Teach Bamboo About Emptiness – The Poetry of Andrew Lansdown” and was Broadcast Saturday 4th June 2005 on Radio National as one of the weekly Poetica series. 5. The First Australian Haiku Anthology website has four of Andrew’s haiku. See also here. 6. The Quadrant magazine website has archived many of Andrew’s poems published in the print magazine since 1998.